We are witnessing a total political system failure in America! The government is ours. We pay for it. And right now, it’s broken. Lobbyists write our laws, and big money controls our elections. Jennifer Lawrence explains how we can unbreak America in this new short film. The government is ours. We pay for it. And right now, it's broken. Lobbyists write our laws, and big money controls our elections.Jennifer Lawrence explains how we can unbreak America in this new short film. Author John HannoPosted on February 28, 2019 Categories "Dead Skunk in The Middle of The Road", Education, Health - Happiness, Injustice Anywhere is a Threat to Justice Everywhere, MLK jr, Labor and Working, Politics in America, Today's News?, VeteransLeave a comment on We are witnessing a total political system failure in America! We need Medicare for All! Business Leaders for Medicare for All shared a post. When you’re facing a life-threatening illness, how to pay for treatment shouldn’t be a concern. We need Medicare for All! Author John HannoPosted on February 28, 2019 Categories "Dead Skunk in The Middle of The Road", Health - Happiness, Injustice Anywhere is a Threat to Justice Everywhere, MLK jr, Labor and Working, Politics in America, Today's News?, VeteransLeave a comment on We need Medicare for All! Seth takes A Closer Look at Michael Cohen’s all-day congressional hearing. Author John HannoPosted on February 28, 2019 February 28, 2019 Categories Labor and Working, Politics in America, Today's News?, VeteransLeave a comment on Seth takes A Closer Look at Michael Cohen’s all-day congressional hearing. North Korea calls Trump Administration a racist billionaires club! 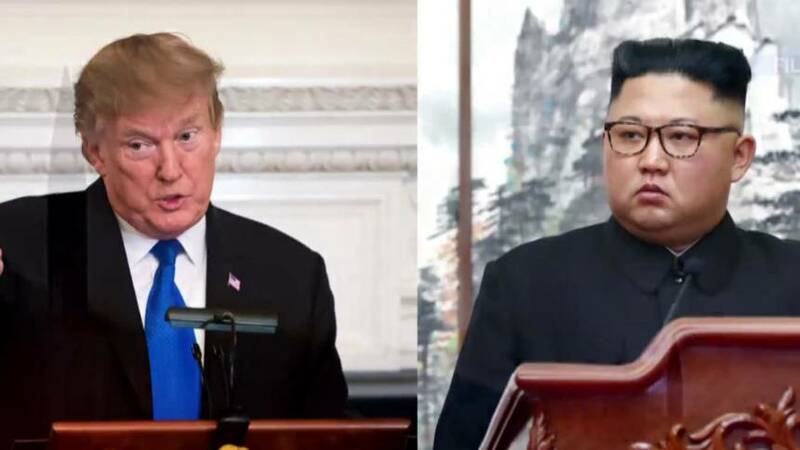 North Korea accused the Trump Administration of being a billionaires’ club that harbors a “policy of racism” while exacerbating social inequalities and denying freedom of the press and health coverage to citizens. The “White Paper on Human Rights Violations in the U.S. in 2017,” issued by the Institute of International Studies in the Democratic People’s Republic of Korea on Wednesday, claimed that human rights in the U.S. have deteriorated since President Donald Trump took office last year. The paper, which is being circulated by North Korean diplomats in Geneva, did not refer to the row between North Korea and the U.S. and its allies over Pyongyang’s nuclear and missile programs, nor to the international sanctions imposed against it. A summary of the paper was released by the Korean Central News Agency (KCNA) on Wednesday. The KCNA summary accused Trump of packing his cabinet with billionaires, including Secretary of State Rex Tillerson; former private equity investor Wilbur Ross, who is now Secretary of Commerce; ex–Goldman Sachs investor Steven Mnuchin, who is now Secretary of the Treasury; and Secretary of Defense James Mattis. “The total assets of public servants at the level of deputy secretary and above of the current administration are worth $14 billion,” the paper said. 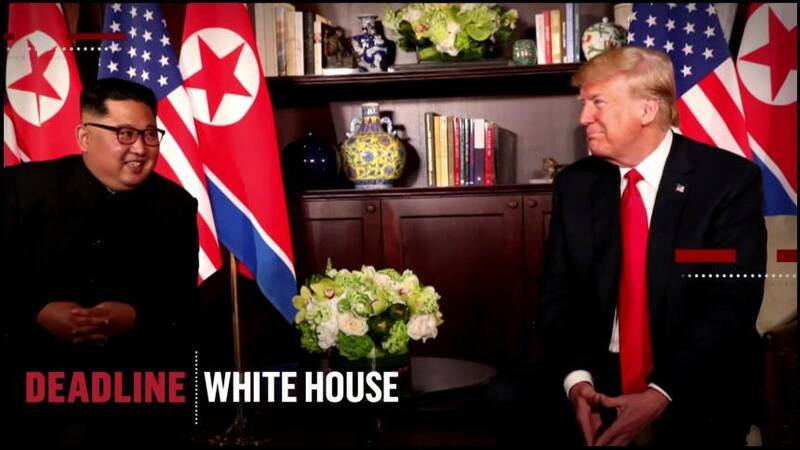 The North Korean paper then said that genuine freedoms of the press and of expression did not exist in the United States, and that crackdowns against the media had intensified in the past year. The report summary also argued that an “absolute majority of the working masses, deprived of elementary rights to survival, are hovering in the abyss of nightmare,” citing unemployment statistics and homelessness as evidence. Pyongyang released the White Paper shortly after Trump criticized North Korean human rights abuses during his State of the Union speech on Tuesday. During that speech, the president called Kim Jong Un “depraved” and told the world that North Korea’s pursuit of nuclear missiles could “soon threaten” the U.S. mainland. Author John HannoPosted on February 28, 2019 February 28, 2019 Categories Injustice Anywhere is a Threat to Justice Everywhere, MLK jr, Labor and Working, Politics in America, Today's News?, VeteransLeave a comment on North Korea calls Trump Administration a racist billionaires club! Trump border emergency is fake and climate crisis is real. National emergency declared on Trump’s border wall, explained. This should not be a shock to anyone paying close attention. Acting White House Chief of Staff Mick Mulvaney, reacting to earlier reports, last week pointedly denied that the administration would raid relief funds designated for victims of storms and wildfires to get money for Trump’s dubious border wall. Paul Bledsoe is a professorial lecturer at American University’s Center for Environmental Policy and a strategic adviser at the Progressive Policy Institute. He served on the staff of the White House Climate Change Task Force under President Bill Clinton. Author John HannoPosted on February 27, 2019 February 27, 2019 Categories "Dead Skunk in The Middle of The Road", Education, Environment, Health - Happiness, Injustice Anywhere is a Threat to Justice Everywhere, MLK jr, Labor and Working, Politics in America, Sustainable Life - Organic Farming, Today's News?, VeteransLeave a comment on Trump border emergency is fake and climate crisis is real. Is Trump following through on his promise to lower drug prices? Is Trump following through on his promise to lower drug prices? Seth checks in. Author John HannoPosted on February 27, 2019 Categories "Dead Skunk in The Middle of The Road", Education, Health - Happiness, Injustice Anywhere is a Threat to Justice Everywhere, MLK jr, Labor and Working, Politics in America, Today's News?, VeteransLeave a comment on Is Trump following through on his promise to lower drug prices? Analysis: The president’s critics say they’re worried domestic pressures may force him into an unwise deal with Kim Jong Un. HANOI, Vietnam — President Donald Trump, who arrived here on Tuesday for a nuclear summit with North Korean leader Kim Jong Un, is desperate for a win. At home, the fallout from special counsel Robert Mueller’s investigation into his campaign’s ties to Russia and possible obstruction of justice continues to spread. Trump’s domestic agenda is still suffering the aftereffects of a 35-day government shutdown. And he’s fighting Congress and more than a dozen states over his plan to transfer billions of federal dollars to build a wall on the U.S. border with Mexico. It appears that Trump, who touched down on Air Force One at Hanoi’s Noi Bai International Airport shortly before 9 a.m. ET, is likely to be spared the indignity of Mueller’s final report being filed while he is abroad, but Michael Cohen, his former lawyer, is set to testify for three days, beginning Tuesday, on Capitol Hill about the president’s business dealings, his efforts to influence the 2016 election and his level of compliance with tax laws. 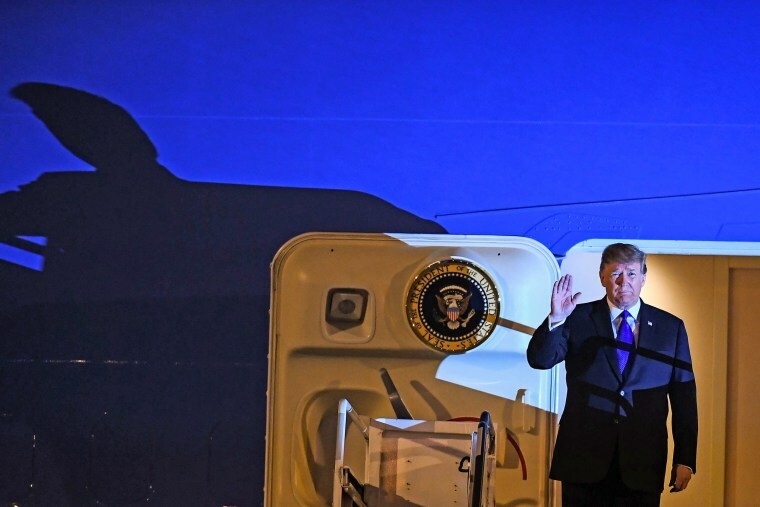 Trump’s arrival was greeted with a red carpet, a 26-man Vietnamese honor cordon and a bouquet of flowers, which was handed to him by a Vietnamese woman. The president shook hands with a delegation of Vietnamese and U.S. diplomatic officials, before giving a quick wave to the assembled media and ducking into his limousine — “The Beast” — for the ride to his hotel. He did not have any public events planned until Wednesday morning in Hanoi, where the time is 12 hours ahead of Washington. Donald J. Trump: Just arrived in Vietnam. Thank you to all of the people for the great reception in Hanoi. Tremendous crowds, and so much love! On the international stage, Trump’s first meeting with Kim last June in Singapore was derided after he boasted of his success in getting North Korea to stop launching missiles while his own intelligence agencies have warned that Pyongyang has not demonstrated any commitment to giving up its weapons program. In short, Trump needs to put some points on the board. The president and Kim are set to have dinner Wednesday before their summit meeting Thursday. Both the dinner and the summit will take place at the Sofitel Legend Metropole Hanoi, White House Press Secretary Sarah Sanders said. Trump’s political opponents say they’re worried that his domestic concerns may play a decisive role in Hanoi this week, pushing him into grasping for unwise bargains with North Korea. And if the past is any guide, the president may find a way to declare victory — or simply to say that he’s struck another agreement with Kim — whether or not he emerges with a concrete plan to halt Pyongyang’s ongoing development of nuclear weapons. There is concern in Washington foreign policy circles, among both Democrats and Republicans, that in his hunger to chalk up a public win, Trump — who has already boasted that his diplomatic efforts with regard to the regime have been Nobel Prize nomination-worthy— could give up too much and get too little in return. Sen. Cory Gardner, R-Colo., the chairman of the Senate Foreign Relations Committee’s Subcommittee on East Asia, the Pacific, and International Cybersecurity Policy, said in response to emailed questions from NBC News that he hopes the president will be firm with Kim about demanding complete, verifiable and irreversible denuclearization before the U.S. decreases pressure on North Korea. 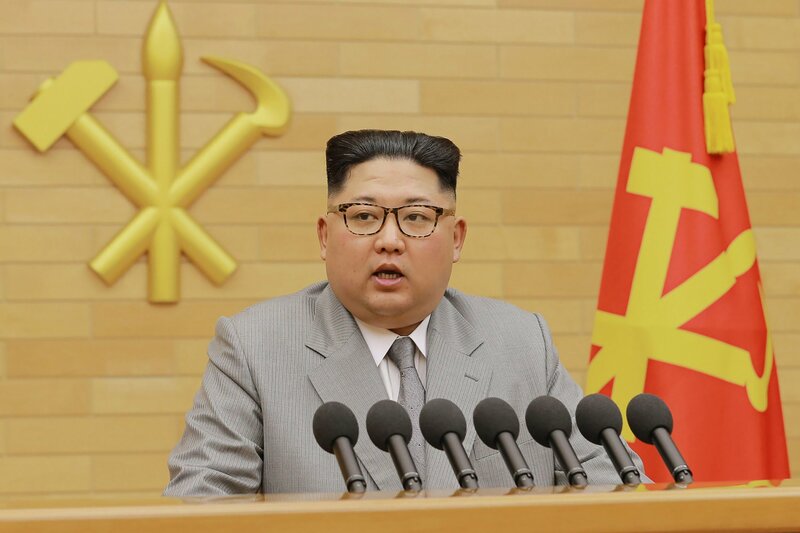 “The administration should make clear to Pyongyang that the only way we will dismantle the U.S. and international sanctions regime is when Pyongyang completely dismantles every single nut and bolt of its illicit weapons programs — not a minute earlier,” he said. The process this time has to move beyond the generalities of the Singapore summit, said Laura Rosenberger of the German Marshall Fund, a former foreign policy adviser to Hillary Clinton. “In many ways, what happens after Hanoi will be more important as what happens at the summit, and Trump cannot allow Kim Jong Un to continue to believe he can just go to the top — a soft target — for what he wants,” she said. When he met with Kim in Singapore, Trump heralded an agreement to work toward denuclearization of the Korean Peninsula, but U.S. intelligence officials have said that while Pyongyang has taken steps to dismantle some of its nuclear capabilities, it has not demonstrated that it is willing to abandon its program. Trump has blasted his own administration’s intelligence officials for breaking with him publicly on the threats posed by North Korea, Iran and the Islamic State group. On Twitter, he countered Director of National Intelligence Dan Coats’s public assessment that “North Korea is unlikely to give up all of its nuclear weapons and production capabilities” by saying there’s a “decent chance” of denuclearization. And in the run-up to the latest summit, Trump has appeared to lower the bar for claiming victory out of the event by tempering expectations for a quick and comprehensive deal on denuclearization, saying last week that he is in “no rush” to make that happen. “I have no pressing time schedule,” he said. North Korea’s wish list includes not just the removal of crippling U.S. and international economic sanctions — Trump has tried to sell Kim on the idea that his nation could one day be a Pacific Rim powerhouse — but also the removal of U.S. troops from South Korea. American forces have been stationed there since the unofficial end of the Korean War nearly 70 years ago. Sen. Tim Kaine, D-Va., a member of the Foreign Relations Committee, told NBC News in response to emailed questions that he is supportive of diplomatic efforts to resolve the standoff with North Korea but has reservations about what the president’s track record means for this summit. On that score — the idea that success means a real process for denuclearization rather than an announced deal that ends up allowing Pyongyang to continue to quietly develop its weapons program — Republicans and Democrats in Congress appear to be in agreement. But the political calculation for Trump remains the same — which means that a declaration of victory, no matter the policy achievement, is far more likely than a decision to walk away from another detail-free offer. For a president facing both turmoil at home and pressure abroad born of his failure to extract concessions at the last Kim summit, failure — or, at least, the appearance of failure — may not be an option. Senate Majority Leader Mitch McConnell needs a swift kick in the nads. Maybe several considering the millions of dollars he has made on a base salary of $174,000 a year as a U.S. Senator. He’s the next one who needs a special counsel. Shrinking those popular programs — either by reducing benefits or raising the retirement age — without a bipartisan deal would risk a political backlash in the next election. Trump promised during his campaign that he wouldn’t cut Social Security, Medicare or Medicaid, even though his budget proposals have included trims to all three programs. McConnell said the last major deal to overhaul entitlements occurred in the Reagan administration, when a Social Security package including an increase in the retirement age passed under divided government. McConnell said he was the GOP Senate whip in 2005 when Republican President George W. Bush attempted a Social Security overhaul and couldn’t find any Democratic supporters. During Trump’s presidency, Democrats and Republicans agreed to a sweeping deal to increase discretionary spending on defense and domestic programs, while his efforts to shrink spending on Obamacare mostly fell flat. Republicans in December 2017 also passed a tax cut projected to add more than $1 trillion to the debt over a decade after leaders gave up on creating a plan that wouldn’t increase the debt under the Senate’s scoring rules. trump in Hanoi; what could go wrong? CNN posted an episode of CNN Replay. Tom Countryman, ex-Senior State Department official, on President Trump’s summit with North Korea’s Kim Jong Un. Author John HannoPosted on February 27, 2019 Categories "Dead Skunk in The Middle of The Road", Education, Health - Happiness, Injustice Anywhere is a Threat to Justice Everywhere, MLK jr, Labor and Working, Politics in America, Today's News?, VeteransLeave a comment on trump in Hanoi; what could go wrong? What Congress should ask Michael Cohen? MSNBC Live with Katy Tur shared a link. Author John HannoPosted on February 27, 2019 February 27, 2019 Categories Labor and Working, Politics in America, Today's News?, VeteransLeave a comment on What Congress should ask Michael Cohen?